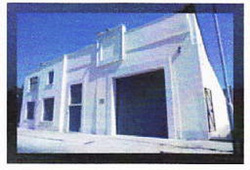 This was one of the two Virgin studios. Today Richard Branson is more known for his airlines, but he started with a record company. 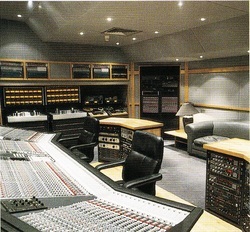 At the time of my visit Sarm had three studios in the UK (Sarm East, and Sarm West in London, and the residential Sarm Hookend). Green Room has been responsible for many classical, folk, and jazz recordings. Many of these have been recorded on location, in hte finest acoustic venues in the UK. This is Peter Gabriel's studio in the village of Box (which is doubly famous - it is also the home of Thomas the Tank Engine). 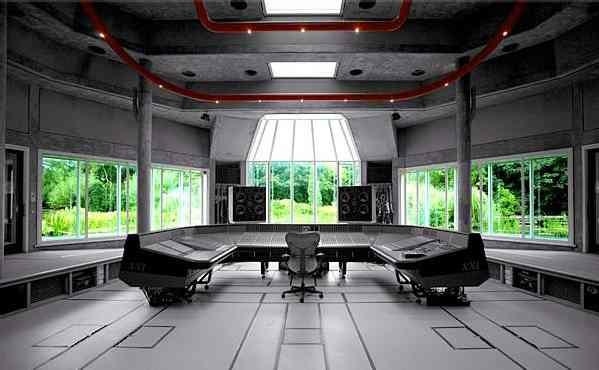 The studio design is unique, as the control room and recording room are in the same space. The best (or worst) decorated studio - depending on your taste. Home of the Chemical Brothers, who rented out one of the rooms. 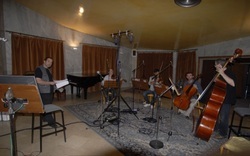 This large-room facility provided for full size orchestral recording. 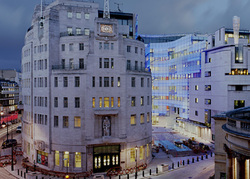 I visited that great labyrinth, Broadcasting House. Sadly, the BBC Radiophonic Workshop closed in 1996, so there was no sign of it left. 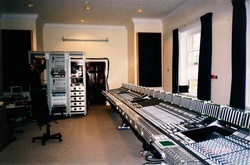 Nestled in the English countryside is one of the two great British recording console manufacturers. SSL actually started making digital electronic controls for pipe organs (to replace the mechanical tracker systems), before introducing the SL4000B in 1977. This photo shows the world's largest console being built for Sony Pictures, Hollywood.